Brazil-based rivals BTG Pactual and Itaú BBA tie for second place. Investors began returning to emerging markets in the second quarter, but many have given Latin American equities a miss, opting instead for the regions robust bond market. 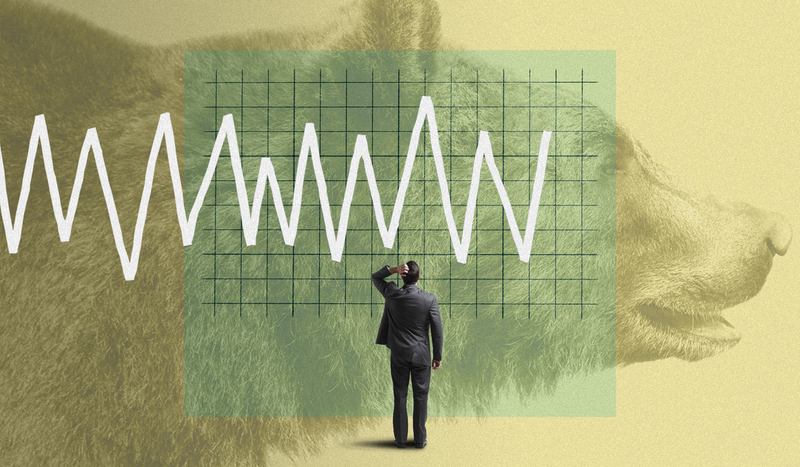 Issuance topped $120 billion in 2013  a record  and market participants expect this years total to be only slightly below last years. Compare that to the regions stock markets, most of which ended 2013 in the red and made only modest gains in the first half of this year. J.P. Morgans director of Latin American equity research, Pedro Martins Jr., agrees that regional growth is likely to be subdued through next year but believes Peru offers an asymmetric positive risk for equity investors. 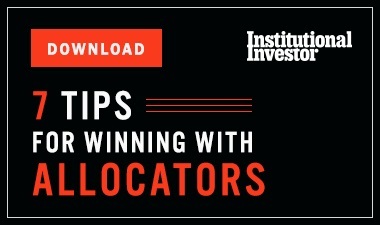 Finding the right investment opportunities in a region as culturally and economically diverse as Latin America can be a daunting task, and many portfolio managers rely on the sell side for assistance. The firm that provides the most helpful insights in the current climate is J.P. Morgan, which jumps from the No. 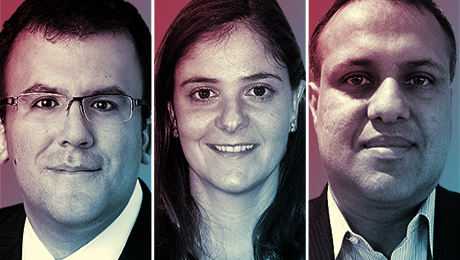 3 slot it shared last year with BTG Pactual to lead the 2014 Latin America Research Team, Institutional ­Investors 22nd annual ranking of the regions best analysts. Its researchers earn a place in 24 of the surveys 25 sectors, failing to appear only in Agribusiness. BTG Pactual rises one rung to tie for second place with last years winner, Itaú BBA; these firms each claim 22 team positions. Slipping from No. 2 to No. 4 is Bank of America Merrill Lynch, with 21 spots. Two banks capture 16 positions and thus occupy the fifth tier: Credit Suisse, which climbs one level; and Morgan Stanley, which holds steady. These results are based on the views of some 865 investment professionals at more than 450 buy-side institutions that collectively manage an estimated $402 billion in Latin American equities and $271 billion in Latin American debt. In late July the International Monetary Fund scaled back its global growth forecast and also lowered its projections for Latin Americas major markets. The Washington-­based organization expects Brazils economy to expand by only 1.3 percent this year  it had earlier predicted 1.9 percent  and by 2 percent in 2015, down from 2.6 percent. Mexicos real gross domestic product will grow by only 2.4 percent, not the 3 percent the IMF anticipated in April. Our view is relatively similar, Góes attests. Argentina is already in recession, whereas growth in Brazil, Mexico, Chile and Peru has been slowing down over the past quarters. In Colombia, however, economic activity is gaining traction, mainly thanks to the fact that oil prices remain at high levels. His analysts are calling for GDP growth in these six countries to average 2.4 percent this year and 3.4 percent in 2015. More-rapid expansions in China and developed markets are among the upside risks, Goldfajn adds, while downside risks include the emergence of inflationary pressures in the U.S. that would tighten financial conditions abroad, reducing capital flows to Latin America. Góes concurs. More aggressive than expected U.S. monetary policy tightening could trigger a capital flow reversal and an increase in borrowing costs, he points out. Those costs have been a hot topic in the regions largest economy. In mid-July, Brazils central bank held its benchmark Selic rate steady at 11 percent and signaled that it was unlikely to make any changes until after Octobers elections. President Dilma Rousseff faces an uphill battle for a second term. As of late July polls showed the Workers Party incumbent with support from roughly 38 percent of likely voters, with challengers Aécio Neves of the Social Democracy Party and Eduardo Campos of the Brazilian Socialist Party winning the backing of 22 percent and 8 percent, respectively. A candidate must win more than 50 percent of the vote to avoid a runoff. Politics also play a key role in Mexicos development. Legislators have been ­hammering out the details of President Enrique Peña Nietos plan to open the countrys oil and gas industries to private investment. We expect Congress to approve the energy secondary laws [ESL] no later than August, Carlos Peyrelongue predicted in late July. The BofA ­Merrill researcher co-captains teams in first place for coverage of Mexico, with Carlos ­Capistran; second and third place, respectively, in Cement & Construction and Real Estate, with Guilherme ­Vilazante; and runner-up in North Andean Countries, with Francisco Rodríguez. We expect the ESL to allow private investment in deepwater exploration and shale oil and/or gas, with and without partnerships with the state-run Petróleos Mexicanos. Electricity generation should be completely open to private investments, he adds. What impact will this have on the Mexican economy? In terms of GDP we would expect Mexicos potential economic growth to increase by 1 to 2 percent per year, thanks to the opening of the energy sector, which will spur oil and gas production, higher consumption and thus higher fiscal revenues for the state, says Peyrelongue, who works out of Mexico City. Last but not least, we expect the energy reform over the medium term to result in lower electricity costs, thanks to abundant access to cheap gas, which will allow Mexican manufacturing to become even more competitive on a global basis, he adds. In the meantime, investors would do well to buy shares of Cemex, which the analysts expect to outperform owing to strong cement volumes in Mexico, South America and the U.S.; and telecommunications services provider América Móvil, as we expect asset disposals to allow AMX to unlock value and to reduce its current market share to below 50 percent to avoid asymmetric regulation, Peyrelongue says. 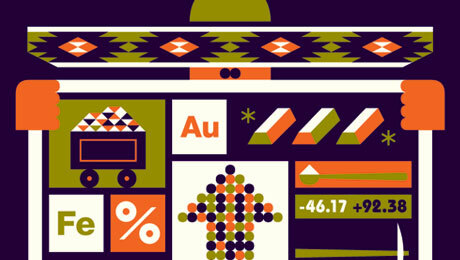 The North Andean region is a tale of two markets. In July, Colombia reported higher-than-expected growth figures for the first quarter  an annualized rate of 6.4 percent, making it the fastest-growing economy in the region and the second-fastest in the world (after China)  while Perus central bank lowered its GDP forecast for the year from 5.5 percent to 4.4 percent, largely because of slowing demand for copper, gold and other commodities. Earlier that month its central bank slashed its overnight lending rate by 25 basis points, to 3.75 percent, in an attempt to stimulate growth. Chiles economy is also running out of steam. In mid-July the nations budget director, Sergio Granados, lowered his 2014 growth forecast from 3.4 percent to 3.2 percent. That was hardly surprising to BTG Pactuals Alonso Aramburú and César Pérez-Novoa, who lead the team in first place for coverage of that country. They also together direct the No. 2 team in North Andean Countries. Aramburú, with Eduardo Rosman, guides runner-up squads in the two Financials sectors, Banks and Nonbanks; while Pérez-Novoa, with Edmo Chagas, co-captains the No. 2 crew in Pulp & Paper and the No. 3 team in Metals & Mining. We have been flagging to investors since late 2013 that Chilean economic growth will be subpar potential, given a sharp contraction in gross capital formation and a slowdown in private consumption, which is reflected in consumer and business sentiment, says Santiago-based Pérez-Novoa. The analysts GDP forecast is even lower than the governments; they predict expansion of just 2.5 percent this year.